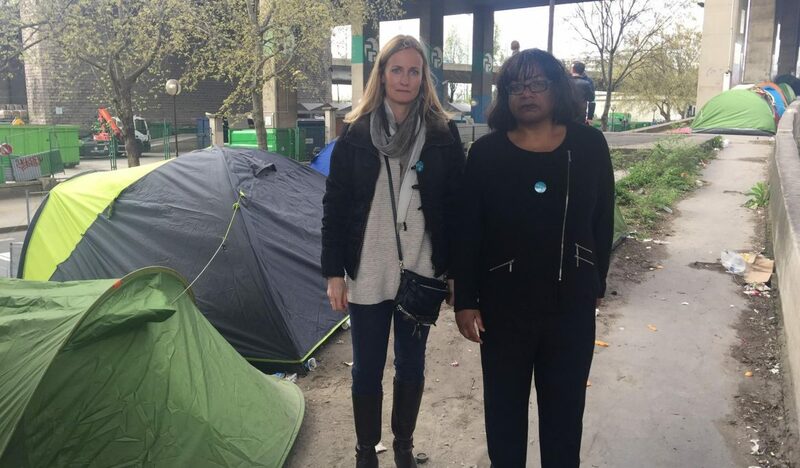 Back in April, the Rt Hon Diane Abbott took time out of her busy schedule to meet with Care4Calais founder Clare Moseley, at Porte de la Chapelle in Paris. Together they have witnessed first-hand some of the deprived conditions refugee families, young people and some unaccompanied minors are forced to live in, despite the contrasting western society surrounding them. Diane supports our mission to improve refugee support in Calais, Paris and beyond, and to ensure the rights and livelihoods of refugees are protected.